Former White House Social Secretary & author of Treating People Well: The Extraordinary Power of Civility at Work and in Life. The New York Times Review of Books recently called Treating People Well “the first book we are all obliged to read in 2018.” Former White House social secretary Lea Berman, who worked for George and Laura Bush, and Jeremy Bernard, who worked for Michelle and Barack Obama, share the empowering lessons they learned about how to work productively with different people from many walks of life and points of view. They share what they’ve learned through personal examples of their own glamorous (and sometimes harrowing) moments with celebrities, foreign leaders and that most unpredictable of animals – the American politician. Authors Jeremy Bernard and Lea Berman show us how people from opposite ends of the political spectrum and all walks of life can build relationships, earn trust, and succeed by treating others with civility and respect. These former White House social secretaries give specific advice for how to exude confidence even when you don’t feel it, ways to establish your reputation as an individual whom people like, trust, and want to help, and lay out the specific social skills still essential to success - despite our increasingly digitized world. Jeremy and Lea prove that social skills are learned behavior that anyone can acquire, and tell the stories of their own unlikely paths to becoming the social arbiters of the White House, while providing tantalizing insights into the character of the first ladies and presidents they served. Lea Berman is the creator of America’s Table, a blog about food and entertaining with White House. She began her career at Georgetown University’s Center for Strategic and International Studies, where she worked for Henry Kissinger. She had her own event planning and political fundraising firm for a number of years, was a fulltime mother for ten years, and worked at the White House from 2001-2007 first as Social Secretary to the Vice President, then Chief of Staff to the Second Lady, and for her final two years as White House Social Secretary. 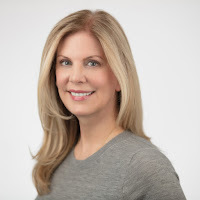 She was the subject of a Washington Post profile, “An Inviting Presence,” in 2005; wrote an editorial in the Washington Post about civility in 2011; and was the subject of a chapter of John Harwood and Gerald Seib’s 2008 book Pennsylvania Avenue: Profiles in Backroom Power. In February 2016 she was featured in a Washington Post article called “What Really Happened at those Georgetown Dinner Parties.” She gives speeches about her White House experience, has lectured at the White House Historical Association, provided oral histories for the White House Historical Association, The George W. Bush Presidential Library and Southern Methodist University’s Presidential Studies program, and is featured in an ongoing exhibit at the Bush Library. She appears on the Fox News morning show, Fox and Friends, to talk about her White House experiences. 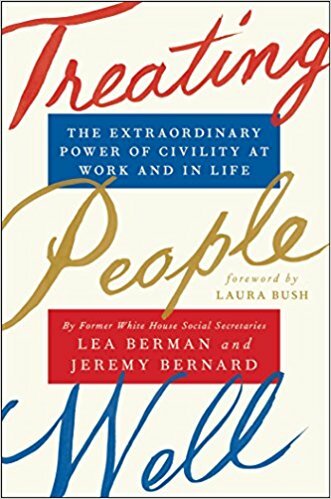 Lea is the co-author of Treating People Well: The Extraordinary Power of Civility at Work and in Life with Jeremy Bernard.